Bordyuzha said the measures discussed included boosting security at state borders, modernizing the CSTO joint rapid-reaction forces, and joint efforts against extremism and illegal drug trafficking. 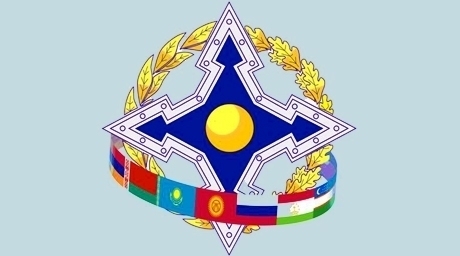 The leaders of the Collective Security Treaty Organization (CSTO) have agreed to reinforce the organization’s military capability and step up control at the Tajikistan-Afghanistan border ahead of the withdrawal of the International Security Assistance Force (ISAF) from Afghanistan next year, CSTO General Secretary Nikolai Bordyuzha said on Tuesday. 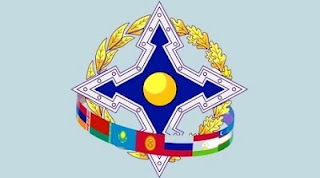 The leaders of the CSTO, a Russia-led intergovernmental military alliance of former Soviet states, also discussed the need to supply the CSTO rapid response force with modern weapons and deepen cooperation between the member states’ special services in combating extremism. "But as important as the base is to the Kyrgyz people, the true nature of Manas remains an open question. For years, it has been at the centre of a string of allegations revolving around drug-running, terrorism and stage-managed revolutions.One of the most surprising revelations to emerge from Manas centered around the story of Abdolmalek Rigi, the former leader of the Jundullah terrorist organization who was captured by Iran onboard a flight from the United Arab Emirates to Kyrgyzstan. Jundullah is a Pakistani tribal militant group that concerns itself with plight of Sunni Muslims in the predominantly Shiite Iran. Despite widely-acknowledged links to al-Qaeda, the CIA has been funding the group for years as a proxy force to commit attacks inside Iran, where it is believed to have killed and injured over 500 civilians since 2003. As Rigi himself told his Iranian captors, his story included the air base at Manas, which he claims the US uses to conduct covert meetings with people like himself." With the U.S. being forced out of Kyrgyzstan, Moscow seizes the chance to increase its economic and military presence in the Central Asian country. “We expect the ongoing armed conflicts, in particular in Syria as well as the effects of the ‘Arab Spring’ to lead to an inflow of militants, who are now acquiring practical experience, via illegal migration channels,” he told a hearing at the Federation Council, the upper house of the Russian parliament. “It has been established beyond any doubt that the special services of foreign states are using illegal migration channels to conduct intelligence and ‘subversive’ activity to the detriment of Russian security,” Roshchupkin said, but did not elaborate. Hizb ut-Tahrir: Conveyor belt for terrorists? “Investigators discovered evidence that the three members of the cell (all citizens of Tajikistan) had committed intentional acts directly aimed at the procurement and preparation of means and weapons to carry out a series of terrorist attacks,” the Interior Ministry said in a statement. Russian police said the group actively recruited members in the Nizhny Novgorod region to commit acts against the state in order to establish an Islamic caliphate. “Due to circumstances beyond the terrorists’ control,” the three detained members were unable to carry out the planned attacks, police said. "HT is not itself a terrorist organization, but it can usefully be thought of as a conveyor belt for terrorists. It indoctrinates individuals with radical ideology, priming them for recruitment by more extreme organizations where they can take part in actual operations. By combining fascist rhetoric, Leninist strategy, and Western sloganeering with Wahhabi theology, HT has made itself into a very real and potent threat that is extremely difficult for liberal societies to counter." The southern edge of Jalal-Abad Province is part of the Fergana Valley, which could soon become the terrorism hotspot in Central Asia, and it is one of Kyrgyzstan's many provinces where USAID was involved in opening "improved" registration and passport offices. By taking a closer look at one prominent former Hizb ut-Tahrir member, we might be able to decide if the United States and its allies are fighting a War on Terror or a 'War of Terror'. In 1996, Omar Bakri founded Al Muhajiroun with Anjem Choudary. According to John Loftus, a former US Army Intelligence Officer and Justice Department prosecutor, three senior Al Muhajiroun figures at the time - Bakri, Abu Hamza, and Haroon Rashid Aswat - had been recruited by MI6 that year to facilitate Islamist activities in the Balkans. In 2000, Bakri admitted to training British Muslims to fight as jihadists in Palestine, Kashmir, Chechnya or South Lebanon. Recruits were "learning firearms and explosives use, surveillance and other skills" and "would be expected to join a jihad being waged in one country or another". That year, he boasted: "The British government knows who we are. MI5 has interrogated us many times. I think now we have something called public immunity. There is nothing left. You can label us ... put us behind bars, but it's not going to work." Labour Party MP Andrew Dismore told parliament the following year about a month after 9/11 that Bakri's private security firm, Sakina Security Services, "sends people overseas for jihad training with live arms and ammunition", including training camps "in Pakistan and Afghanistan", and even at "many different sites in the United Kingdom". Hundreds of Britons were being funneled through such training only to return to the UK advocating that Whitehall and Downing Street be attacked as "legitimate targets". Though Sakina was raided by police and shut down, Bakri and Hamza were not even arrested, let alone charged or prosecuted. And last year, Bakri boasted, "I'm involved with training the mujahideen [fighters] in camps on the Syrian borders and also on the Palestine side." The trainees included four British Islamists "with professional backgrounds" who would go on to join the war in Syria. Bakri also claimed to have trained "many fighters", including people from Germany and France, since arriving in Lebanon. Given Omar Bakri's close cooperation with the British intelligence services it shouldn't be a surprise that his activities are closely aligned with NATO foreign policy objectives. Instead of serving time in prison, Bakri is currently in Lebanon praising the 'courage' of his former disciple Michael Adebolajo and organizing the local al-Qaeda chapter's jihad against Hezbollah. Omar Bakri Muhammad is another Islamist militant leader in a long list of protected terrorists including former CIA asset Sheikh Omar Abdel-Rahman and of course al-Qaeda's current leader Ayman al-Zawahiri, who is working directly for U.S./NATO. 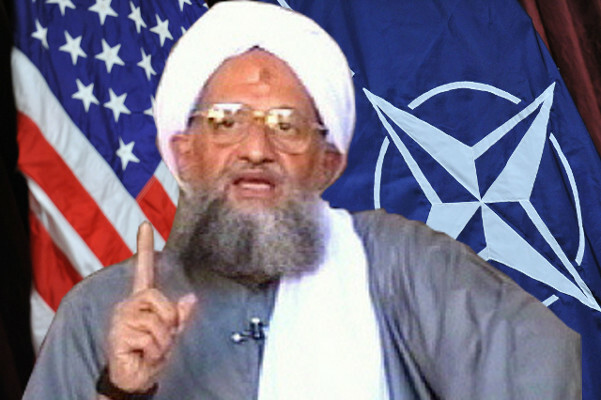 Just like Omar Bakri, Zawahiri was heavily involved in operations in the Balkans in the 1990s and his activities showed up a lot in the FBI 'Gladio B' counterintelligence investigations during this time. While working with the Turkish arm of NATO and with NATO, Ayman al-Zawahiri travelled frequently to Turkey, Bulgaria and Azerbaijan. Now famous meetings of Zawahiri with U.S. military and intelligence officials took place in the U.S. embassy in Baku, Azerbaijan. Pakistan and Saudi Arabia supported these operations which were overseen and directed by the United States. At one meeting in Baku there were also two high-level Saudi officials present. One of them was in charge of the Saudi intelligence office in the U.S. and the other person held a high-ranking position at the Royal Embassy of Saudi Arabia in Washington. Several bin Laden family members, who participated in the Gladio B operations, worked directly with Saudi Arabia's U.S. embassy and with another familiar face, Fethullah Gülen. The bin Ladens regularly attended official openings of mosques financed supposedly by Saudis and Imam Gülen at the direction of the United States and NATO. 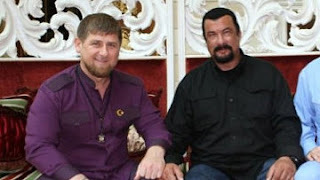 As previously mentioned, the Islamization of Central Asia and the Caucasus region is a key part of the Pentagon's Gladio B operations. An official source reported to Emirates News Agency (WAM) that the mosque is considered the largest in the region, and can accommodate up to 6,000 worshippers. In 2010 the Khalifa bin Zayed Al Nahyan Foundation built a hospital in the Syrian city of Homs. The very same city is now playing a central role in the proxy war in Syria and has been referred to as the "Capital of the revolution". Qatar is also heavily interested in cooperation with Kazakhstan and suggests opening a direct flight between Doha and Astana or Almaty. Garayev said Azerbaijan was interested in further boosting relations with Saudi Arabia. Abdullah Al-Kassiri highlighted close relations between Azerbaijan and Saudi Arabia.